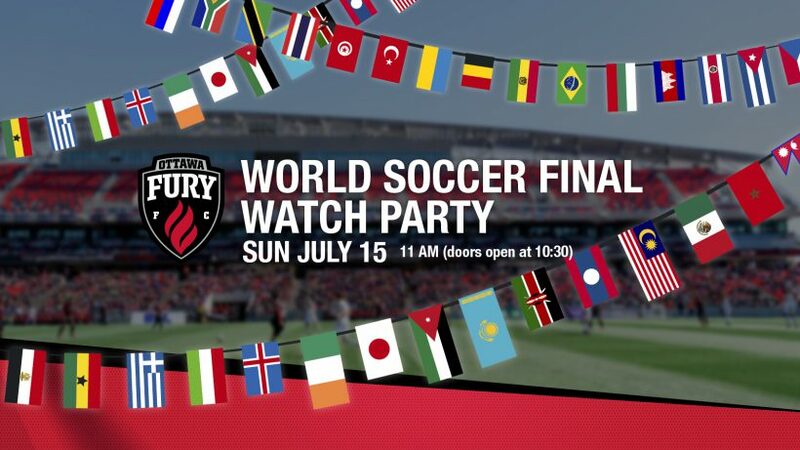 You’re invited to watch the World Soccer final with tons of other fans at TD Place on Sunday July 15th at 11am. Come to TD Place to watch the FIFA World Soccer final on the big screen! The stadium is a former World Soccer venue with an immersive audio and video system so it’s guaranteed to be a fantastic experience! 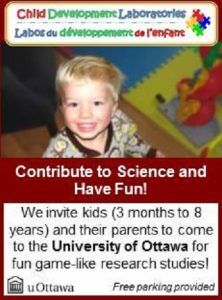 All ages are welcome so bring the kids, there’s fun for everyone! Be sure to bring your own chairs or blankets because you’ll be sitting right on the field! 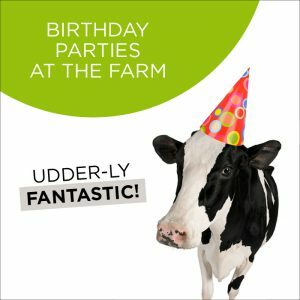 Activities include inflatables, face painting and crafts. 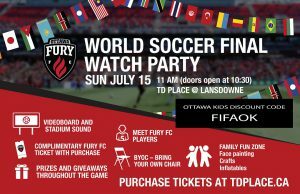 You can also get a picture with Sparky, and the Ottawa Fury FC players will also be stopping by to take pictures with some of the biggest fans in the stadium and there will be award prizes throughout the game! Plus, every ticket also comes with a complimentary ticket to the July 21st Fury FC Match. For more information or to purchase tickets, TD Place official website.